However, it is now possible to make use of natural materials with minimal impact on production efficiency, and thus no longer considers these as flaws. By regarding irregularities as design input one effectively creates an inversion: materials no longer adapt to the production process, it is the process which adapts to materials. We want to make the most out of local raw materials, in this case tree trunks. 3D scanning and robotic fabrication allows us to both catalogue the heterogeneous characteristics of the trees and to develop new computational design models. 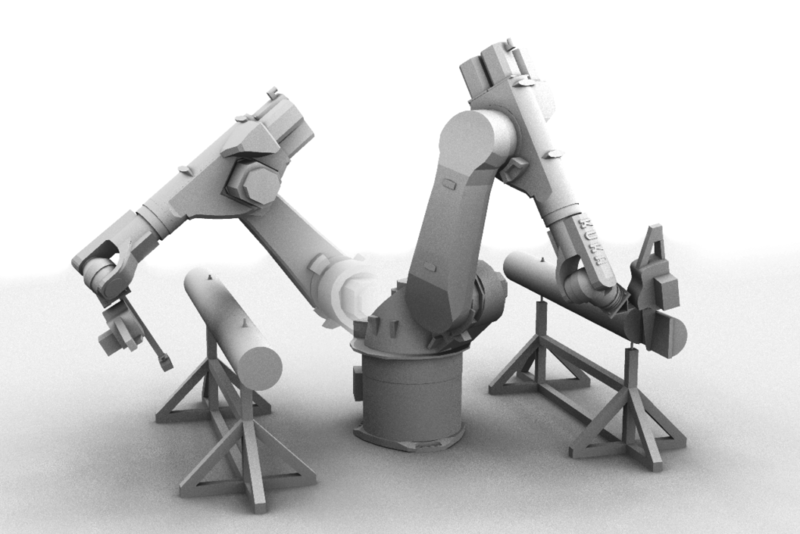 These will be applied to the design and manufacturing of custom wood joints with the use of an industrial robotic arm, equipped with a kinect camera and a chainsaw. Participants will learn the basics of operating a Kuka industrial robot; coordinate systems, mastering tools and bases and how to combine them in a project, operating the robot. They will explore and design wooden joints and learn how with the use of Kuka|prc in Grasshopper they can generate the robot code to fabricate them. Participants will get introduced to a complete digital fabrication process. 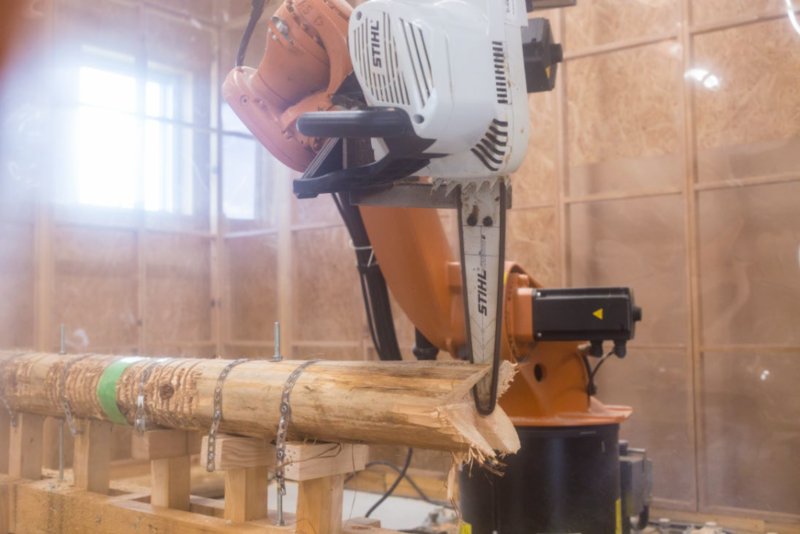 From the exploration and parametric design of raw wood joints, to the 3d scanning of the tree trunks and the generation of the robot code with the use of Kuka|prc in Grasshopper that they will use to fabricate them.